For over a decade the Vancouver Canucks were known as a franchise that built around their defensive corps. The club had been constructed around a core that consisted of names like Matthias Ohlund, Ed Jovanovski, Sami Salo, Brent Sopel, all in their primes. As the coach Marc Crawford era came to an end and Alain Vigneault took over, the team made sure to stick with that school of thought. Over the first few years of Vigneault’s control the Canucks’ defense became the best in the league. Kevin Bieksa and Willie Mitchell joined an already dominant unit. Years of coming within inches of the Stanley Cup, only to fall short, finally forced changes in Vancouver. 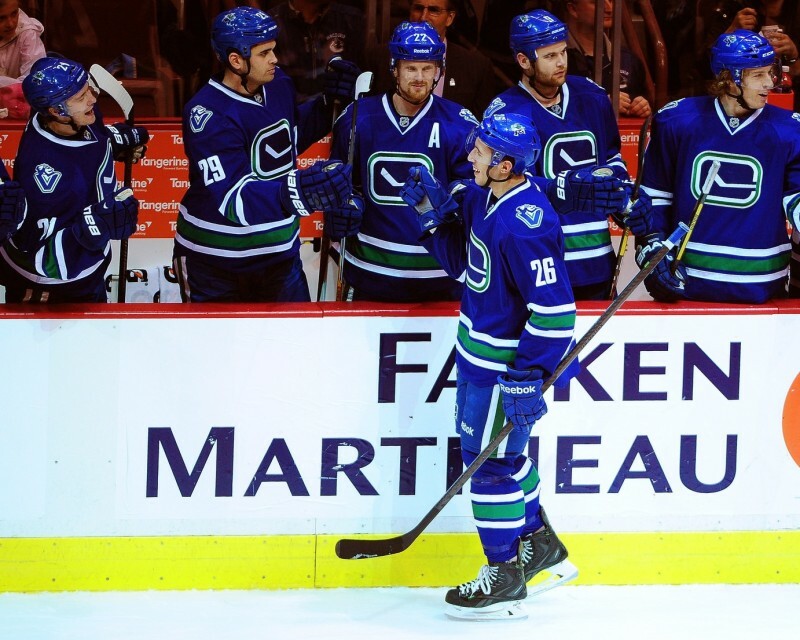 With the new era of youth upon them the Canucks can no longer rely on their past successes. and green – after twelve years with the organization – is Kevin Bieksa. He’s enjoying the sunshine and low-key market of Anaheim with other former Canucks fan favourite Ryan Kesler. With that departure the Canucks were left with a sizeable hole on defense. The team did not attempt to sign a proven top-six defender in the July free agent market, instead opting to go with a battle between a rookie defender and a mid-aged unproven commodity. The two players that will be competing for the Canucks sixth defender spot are 22-year-old Frank Corrado, who has appeared in 28 games for the Canucks over his two season with the club, and 27-year-old Matt Bartkowski, who was a member of the Boston Bruins during Jim Benning’s time with the club. 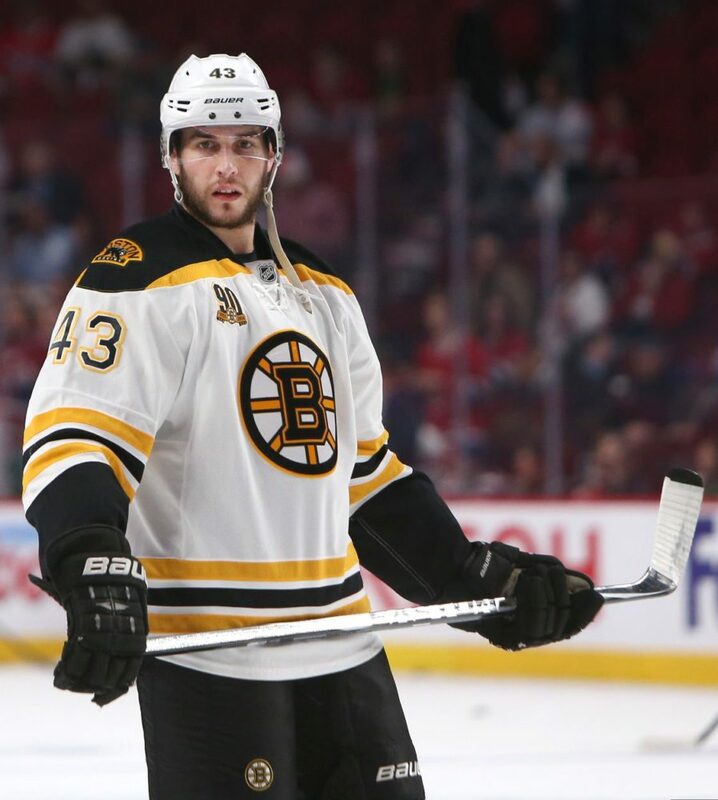 Bartkowski compiled 131 NHL games over parts of five seasons with the Bruins organization before he was given a $1.75 million “prove-it” deal by Benning and the Canucks. 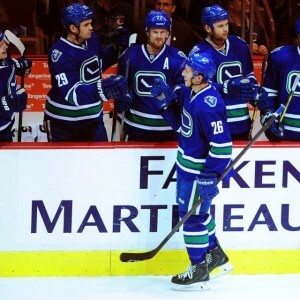 Bartkowski is not known for his offensive prowess as he has recorded only 24 assists in his 131 games. Common sense would dictate that the Canucks would slot Bartkowski into the sixth spot to begin the year and keep Corrado with the big club as the seventh defender. This is based purely on experience. 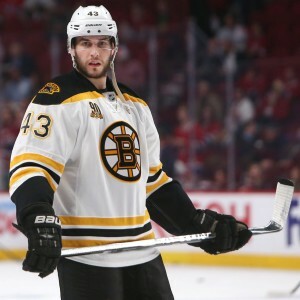 Bartkowski was a member of the Bruins team that went to the 2013 Stanley Cup Final after all, and even though he only saw seven games of playoff action with the club, that experience is huge. One thing that this defensive corps can count on is consistency. Four of the six players named above recorded between 20-31 points and were all even in the plus/minus category. Although none of those statistics are strikingly relevant there are some subtleties. Dan Hamhuis, who in Kevin Bieksa’s absence has become the team’s most seasoned veteran, played in only 59 games last season but recorded 23 points, which had him on pace for a 32-point season. 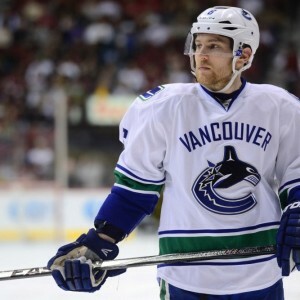 Meanwhile the late-blooming Yannick Weber exploded on the Canucks blue line in 2014-15, scoring 11 goals and notching 21 points in just 65 games, which is a 27 point pace over 82 games. The Canucks don’t have any 50-point defensemen (anymore at least) but they do have four defenders that can be counted on for 20-30 points apiece. Obviously the Canucks were looking for some more grit by bringing in Brandon Prust for the fourth line, but on the back end the Canucks have armed themselves with six (arguably seven) names that are all consistent performers on the ice. None of the seven players that the Canucks will likely roster for their defense are big and nasty, but they all have strong two-way games that are highly reliable in any situation. In 2014-15 the six defenders combined for just 223 PIM. So while they might not strike fear of physical injury in their opponent’s minds, the Canucks new age defensive lineup will rarely be down a man, which means trouble for teams looking to capitalize on the powerplay. In comparison to the 223 PIM logged by the defenders last season, fourth liners Prust and Derek Dorsett combined for 309 PIM. Is Toughness a Key to Pacific Division Success? The unfortunate result of having consistent and safe d-men on a roster is that physicality, in the form of hits, might not be your strong point. In a demanding Pacific Division with big teams like Anaheim, Los Angeles and San Jose, sometimes being able to land a massive check can be a game-changing moment. closest was Alex Edler, who recorded 94. A sobering statistical comparison is the mere 23 hits that Chris Tanev landed in his 70 games. The addition of Matt Bartkowski will help heal the blow left by losing physical defenseman Bieksa, but his 88 hits in 2014-15 won’t come close to replacing Bieksa’s physical contributions. The worst part about that is that the Canucks will be forced to face both Bieksa and Kesler, who are very physical players, on five different occasions during the 2015-16 campaign. The Pacific Division is often pegged as a mosh-pit of a division, but if the Canucks can implement their defensive corps in the most efficient way possible by utilizing all six men with their combined individual strengths, they have a shot at being in the thick of things. This would entail managing their puck possession to offset their West Coast run-and-gun counterparts and maintaining a stranglehold around the front of their net. Not only that, but with little no NHL-ready defensive depth behind Frank Corrado, the training and medical staff will have to do a diligent job of keeping their seven defenders in good shape and healthy. 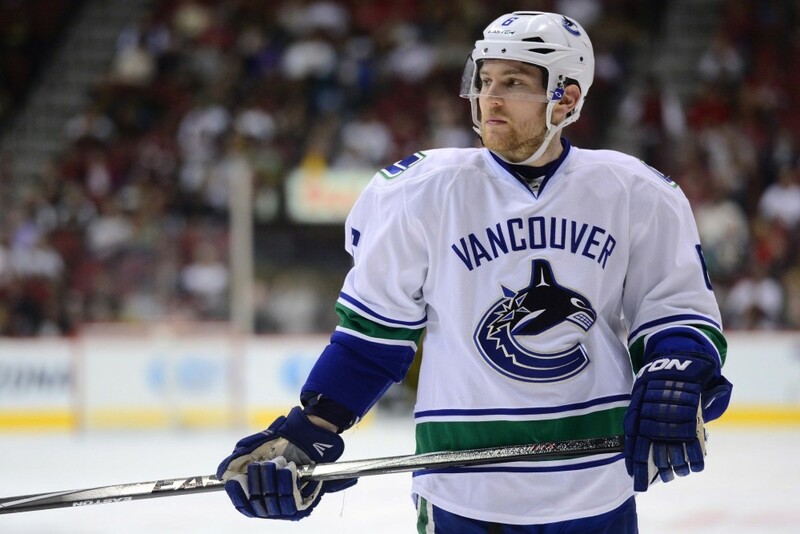 The next two options for the Canucks would be 27-year-old Alex Biega who suited up for seven games with the Canucks in 2014-15, recording one goal, and 27-year-old Taylor Fedun who notched seven games with the San Jose Sharks, tallying four assists. With that in mind two players that will need to pick up major slack will be Yannick Weber, upon whom the Canucks will rely to carry the powerplay and offensive defense responsibilities, and Matt Bartkowski, who will need to develop into a key shut-down defender to protect his pairing partner Luca Sbisa, who takes sometimes oddly calculated risks. If these two can step into solidified NHL roles, then the last step for the Canucks defense is veteran leadership. It’s up to Hamhuis and Edler to teach their younger and less experienced teammates about the ups and downs of being an NHL defender. If they can relay that message efficiently, the Canucks might surprise some folks this year.